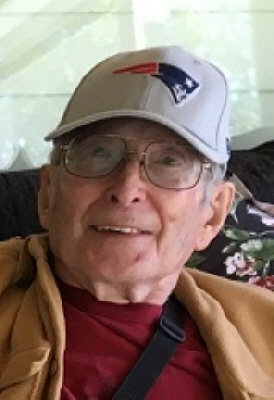 Wenham - Alfred Curtis Smith 82, formerly of Beverly, died peacefully at home on August 29, 2018 after many years with COPD. Born in Gloucester, he was the son of the late Hester Babson (Curtis) Smith and Loring Miller Smith. They soon moved to Beverly Cove where he was joined by five younger siblings. He graduated from Beverly High School in 1954 and immediately enlisted in the U.S. Air Force, serving during the Korean War until his honorable discharge. In 1958, he started his own business, Cove Auto Repair. He was an avid skier and spent many winters in North Conway, New Hampshire, with trips to Aspen, Colorado, and Squaw Valley, California. He enjoyed his power boat kept in Beverly Harbor and, in later years, his motorcycle. He married Deborah Ann Hudson, and they bought a home in Centerville, where they brought up a daughter, Stephanie Ann. In later years, he resided in Enon Village in Wenham, a community where he had many friends. He is survived by his loving daughter, Stephanie Ann Smith of Beverly, brothers, Robert of Lynn and Richard of Beverly Cove, a sister, Joanne Appleton and her husband, Blake of Brunswick, Maine, as well as numerous nieces and nephews. He also leaves behind his former wife Deborah Hudson, of Reno, Nevada, and longtime friend Phyllis Hayes of Revere, as well as friends at Enon Village in Wenham. He was also the brother of the late Donald Smith of Georgetown and Russell Smith of Wenham. His memorial service will be held at the Campbell Funeral Home, 525 Cabot Street, Beverly, Thursday, September 6, 2018 at 1:00 p.m. Relatives and friends are invited to attend. Burial in Central Cemetery, Beverly. Flowers are accepted or contributions may be made in his memory to the charity of one’s choice. Information, directions, condolences at www.campbellfuneral.com. To send flowers or a remembrance gift to the family of Alfred C. Smith, please visit our Tribute Store. "Email Address" would like to share the life celebration of Alfred C. Smith. Click on the "link" to go to share a favorite memory or leave a condolence message for the family.